On September, 10, 2019, our beloved Rev. Henry H. Mitchell, ThD. will turn 100 years young! A kick-off celebration will be held September 8-9, 2018. Saturday, September 8th, 2-6 p.m. an Afternoon Birthday Celebration will be held at the Trenton Country Club, 201 Sullivan Way, West Trenton, NJ; and on Sunday, September 9th, at 11:00 a.m., celebrants will be Going to Church With HHM, at his local home church, Shiloh Baptist Church, 340 Rev. S. Howard Woodson, Jr. Way, Trenton, NJ 08618. Dr. Mitchell and his beloved wife, Rev. Dr. Ella Pearson Mitchell were among our first Beautiful Are The Feethonorees in 2004. The Mitchells were among our most ardent supporters and contributors. Dr. Ella Pearson, joined the ancestors in 2008 and her legacy of teaching and preaching has been embodied in the honorees who followed, as well as the rising Womanist Theologians who attend the annual SDPC gatherings. In honor of the Mitchells’ legacy of teaching and preaching, the Ella P. and Henry H. Mitchell Fund for Theological Education has been formed. The main goal of the Fund is to fully endow the Eunice C. Jackson & Ella P. Mitchell Chair for Women and Religion at Union Theological Seminary. Named for the first two African American women to graduate from Union Theological Seminary, Jackson in 1940, and Mitchell in 1943, both with a Master of Arts degree in Christian Education, the Chair will be held by a scholar committed to the interdisciplinary exploration of the intersections of religion, race, gender, and women’s studies. The Fund will also provide scholarships for young seminarians at historically Black institutions or programs directed at multicultural religious experiences.Visit the Fund website for more information or to donate www.mitchellfund.org. Join us as send well wishes and sing Happy Birthday to Dr. Mitchell! 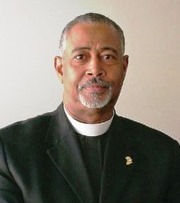 The Samuel DeWitt Proctor Conference Inc. (SDPC), a social justice organization which reaches African American congregations from around the country, has received a three-year grant from the Lilly Endowment, Inc. to create an initiative to enable congregations and organizations to address and correct the economic challenges facing pastoral leaders. The Endowment is giving $28 million in grants as a part of its commitment to support pastoral leadership. SDPC was one of 28 organizations selected for this initiative. A variety of Christian traditions have received grant awards. With this grant, SDPC will establish the SDPC Micah Institute and Ministerial Excellence Fund, which will be a long-term program to foster pastoral excellence and which will serve as a financial investment to help serve and sustain ministerial excellence in the communities represented by SDPC member congregations. The SDPC Micah Institute and Ministerial Excellence Fund will “foster well-being and self-care of clergy, congregations and communities,” according to SDPC General Secretary Iva Carruthers. Leveraging this national Lilly initiative, SDPC will deepen its capacity to catalyze clergy and congregational engagement in community-based economic development. A “Theology of Sufficiency” – countering the unfair distribution of available resources – will be used. The target audience and partners for this project will include pastors, congregational lay leaders, seminaries and their students. SDPC will announce the launch date for the SDPC Micah Institute and Ministerial Excellence Fund in the first quarter of 2016.